My decision to try and make our chickens and ducks fully automated came just before we headed off for a three week holiday. We decided that rather than paying someone to come each day we would invest the money in fully automating them with automatic doors, an on-demand feeder, fresh water and a diy swiveling web-cam to keep an eye on it all . Since taking the plunge, the system has operated flawlessly for over a year without even needing the batteries changed so I thought it was worth sharing how I transported our birds to Chicken house Nirvana. Read on to find out how I tackled it. During daylight hours there’s not much going on so below is a recording of the Chickens coming in to roost as it starts to get dark. I have been building our chicken house in my spare time since 2007, using a combination things I find in skips and and leftovers donated by our neighbor who is carpenter. By the time I started the automation process in July 2008 the chicken house consisted of an upstairs with a perch for our 7 chickens and two rooms downstairs, one for our two ducks and another which had been converted into a fully sound proof box for our cockeral, Biddy. Following a tragic incident in which Biddy decided to follow the ducks into the pond, his box had become vacant so out came the brick lining, bubble wrap and insulated cladding and in went a plastic liner and several sacks of Chicken food. Biddy’s pad was now the feeder. 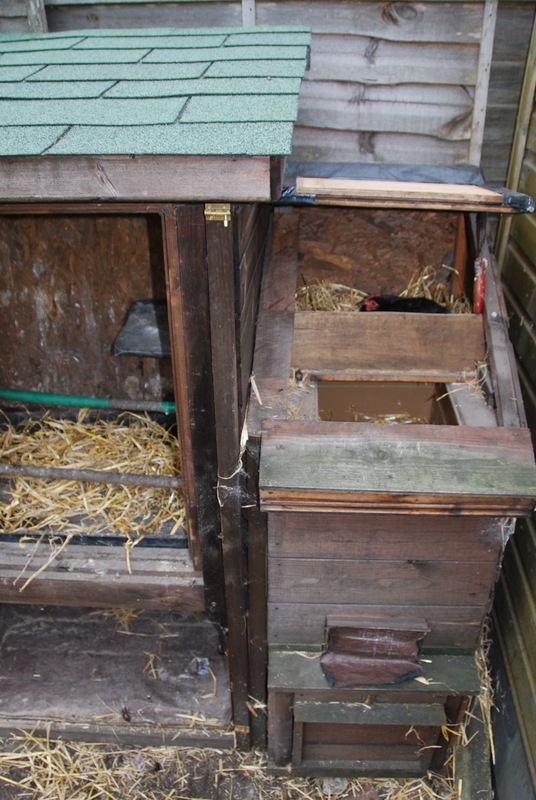 Leaving a small gap at the bottom, I attached a closure plate to the front of the chamber to allow just a small amount of food to drop down as required by the birds. My first move in the automation process was to order the doors and closing mechanism. There isn’t much choice when it comes to automatic poultry door mechanisms so I settled on the VSB system which I purchased from Wiltshire Chickens online shop. I decided to get one VSBb mechanism, three VSB sliding doors and a VSB 24hr timer. This door mechanism is light activated by default, which is great for chickens but our ducks love to stay out late so a timer was essential to give full control. In order to link up more than one door I needed to employ a couple of pulleys which can be ordered online but I decided to fashion my own from standard pulleys. 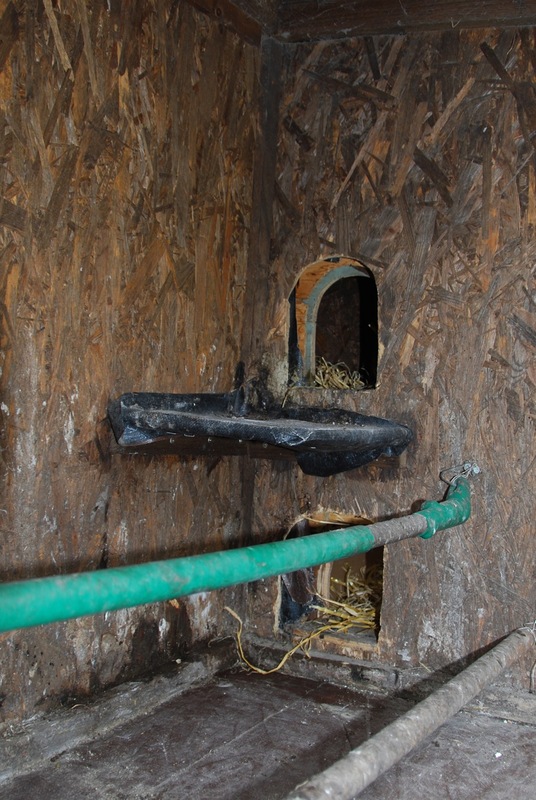 In order to give full access to the different sections of the chicken house for mucking out etc.. I mounted the sliding doors on a large removable plywood panel that bolted in place over the entire face of the chicken house. Having cut three rectangular holes in the panel, the metal doors slotted into runners mounted either side of each entrance and the mechanism box was secured at the top. 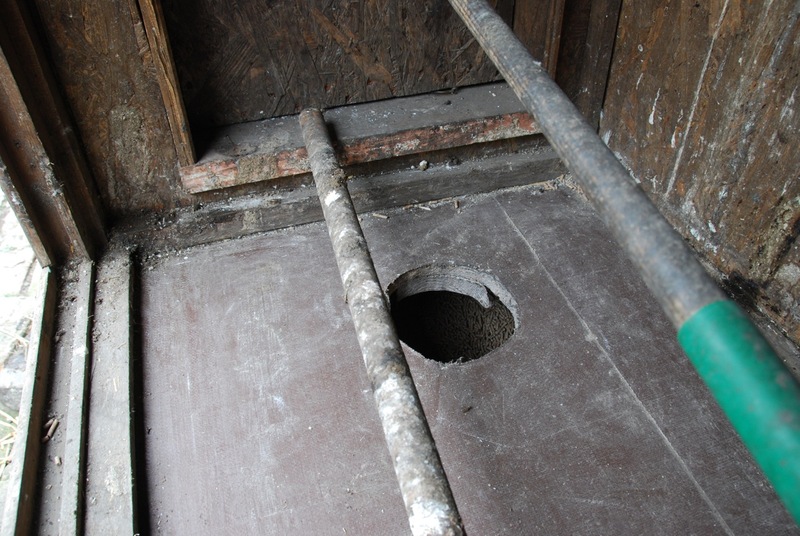 Pulleys were attached to either side of the upper main chicken house door which guided lengths of plastic coated framing wire from the bottom corners of the upper door to the two lower doors causing them all to rise and fall in unison. Once the doors were all in place and wired up all that was left to do was attach the main upper door to the automatic mechanism which was in turn connected to the timer module mounted on the inside of the panel. 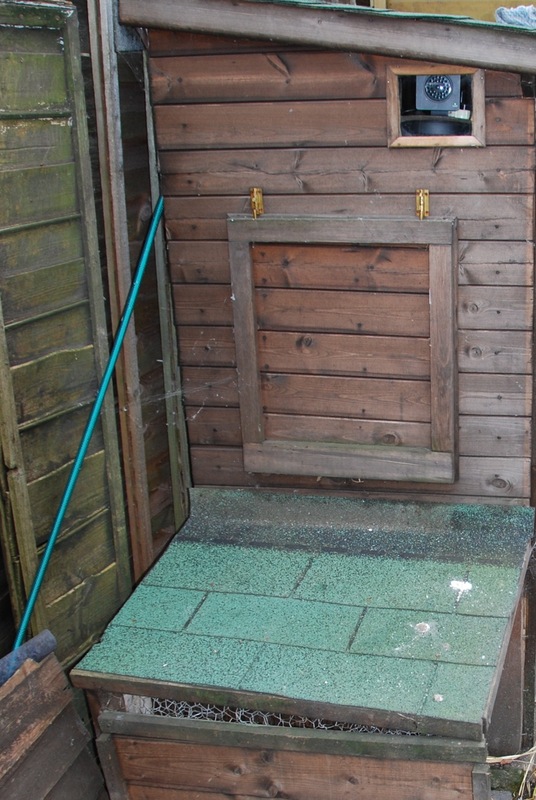 The result was three fully automatic sliding doors, one at the top with a platform for the birds to fly up on to, one at the bottom for the ducks and one next door to protect the feeder from vermin at night. I set the timer to close an hour or so after dark and to open just after sunrise. 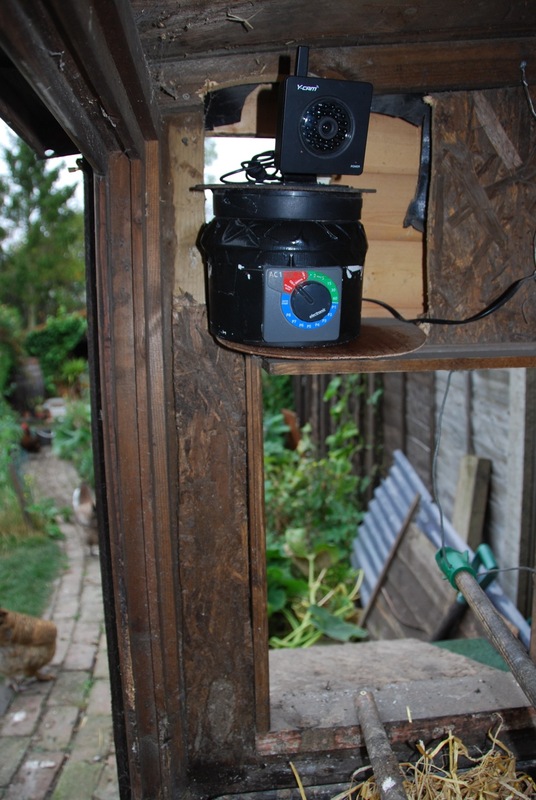 The watering system came courtesy of a Hozelock AC1+ automatic watering module which topped up both the duck’s pond and the chicken’s drinker. I set it to turn on the hose for 2 minutes twice a day which was enough to keep the duck’s water from becoming too stagnant and provide ample water for the chickens. Finally I needed to be able to monitor the setup over the internet to make sure it was all working smoothly. For this I turned to a Y-cam infra red wireless webcam mounted on a small platform inside the main chicken house. Because I wanted to be able to view them both outside during the day and inside at night, I developed a swiveling platform which looked down on the perch at night using it’s infra red night-sight, monitor whether the door had closed correctly, then swung round during the day to peer through a glass window looking out over the garden. The platform itself was entirely comprised of bit’s and pieces I found lying around and could be set to swivel at set intervals. The full design for this is probably a bit too much for this article so maybe I’ll cover it in a separate post in the future, let me know if this would be useful. I hope this has inspired you to automate you chickens if you have them or to consider getting some if you don’t. We live in a built up area surrounded by other houses and we have found them to be excellent pets that require little in the way of daily maintenance and offer eggs and animation for the garden in return. Apart from filling their food every couple of months and changing their straw now and again all that’s left to do is eat the eggs. If you have any innovative chicken house adaptations that might inspire me I’d love to hear about them but in the mean time you can have a look through some more of my pictures. Hah! Excellent use of VSB. Thanks for visiting my squidoo lens http://www.squidoo.com/chicken-coop-door-opener. I may add this post of yours to my lens! What a fantastic set-up. Really impressed. This is one of the best automatic chicken coops I’ve seen so far. I made a post about it on my little homesteading blog with a suggestion on how you might improve your watering system. Thanks for sharing and good luck with your flock. You have both inspired and impressed me. 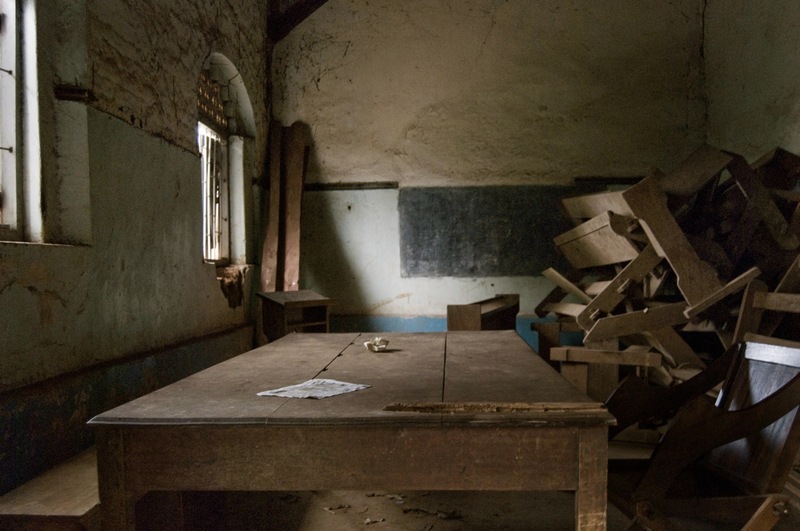 How the heck were you able to soundproof the room and did you ever have any problems with any birds staying outside after the doors have closed for the night? Thanks Davis. I actually used a layer of old cotton clothes about 5 inches thick followed by a skin of bricks followed by wood. The walls were about 10 inches thick by the end and you could really hardly hear him once he was shut in. He was never too please about being separated from his lady friends though! I don’t think any of the birds have ever stayed out past closing time but the ducks could be a bit of a pain. That is ingenious, but do you think that one could make it work on a larger scale? It seems like it would be easy enough to build the sound walls around an entire coop if you had a good foundation, but I’m wondering how one would go about soundproofing the roof as well. I think that should work although I agree a brick roof would be tricky. I’m not sure what would make a good lightweight acoustic insulator as when I was researching by cockerel box, most sources said density and weight were the key. Maybe the egg box trick? Wow.. I found your site by image search for automatic chicken door.. and now I’m green with envy..
I’m going to try and replicate .. your removable door idea.. and I’d like to have the chick cam.. but I know nothing about those types of electronics.. but i do have a techie friend..
Just as a thought .. if you had made it a little bigger.. or were going to do it again.. would you have made any modifications?? 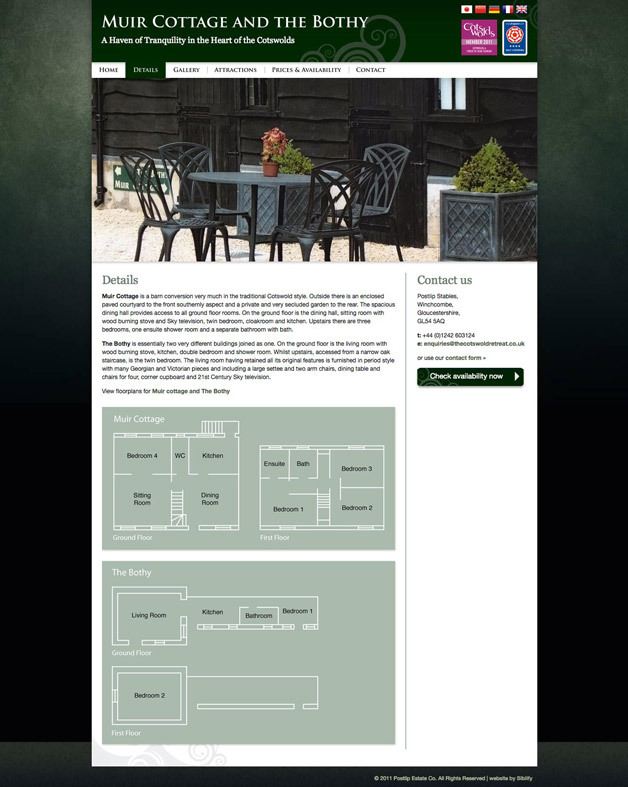 I’ve got to say with the chicken tunnel and the house you’ve designed… I’m going to have to look at your web page design.. I bet their really good too.. Thanks Debra - glad you got some inspiration. In terms of doing anything differently, I think it more or less fulfills my needs now although it did start out very differently from how it ended up and under-went several rounds of modifications on the way. I know what you mean re. the price of the y-cam. It was a surprise Christmas present for me so I didn’t have to make that choice so maybe you should start dropping hints! Good-luck with your house. Michael, this is fascinating! I was just getting over the fact that you’d had the genius idea of sound proofing the cockeral’s enclosure (one of the reasons I’ve hesitated about chickens in the past) when you hit me with the tragicomedy (sorry) moment of him following the ducks into the pond! I considered getting chickens when I moved out of London 18 months ago but did a little intro course to it and thought it sounded a bit too much to take on. It was the cleaning out the coop and worrying about red mite and other parasites/insects (I found one on me when I got home after holding one) that mostly put me off, but wondering what to do when we go away was a bigger concern. You’ve proven that this doesn’t need to be a problem. Once I’ve got my allotment in better shape (beginning of year 2, it IS a lot of work!) I might consider chickens again. Go for it Emily - it really doesn’t need to be complicated. Are chickens are virtually wild and seem very healthy and happy. The sound proof box was very effective but towards the end I was having to stop work to put him in it every couple of hours which was a pain for both of us. We live further out of town now so we are hoping that this years hatch will have a cockerel in it to bring some comedy to the garden - they are seriously fun! I’ve had three ducks now since last April here in Rugby, Warwickshire. 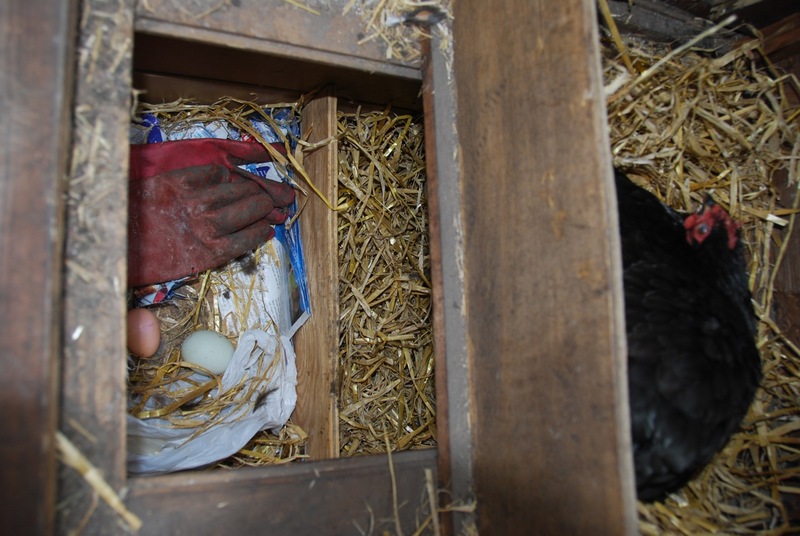 As you say in your conclusion, they make very good pets and just started to lay prior to the winter setting in, so we are looking forward to a summer with lots of eggs in 2013. However, I have been thinking about the ‘baby sitter’ problem and have so far relied an a friendly neighbour to help out whilst we are away. Your piece is very good. I will probably buy a vsb with timer but I couldn’t help but be amazed at your fully automated setup. It’s inspiring!! Thank you! Hello, congratulations you are amazing, I jus wondering if I can make a electric door for my chicken house and The feeder is well could you help me or you can build this for me? you are so good you should do some business with your hard work and great imagination. Hi Monica. Thanks for your comment - you are very kind. I bought the doors and mechanisms from a shop near me in Dorset called Flyte So Fancy and they sell them online too. 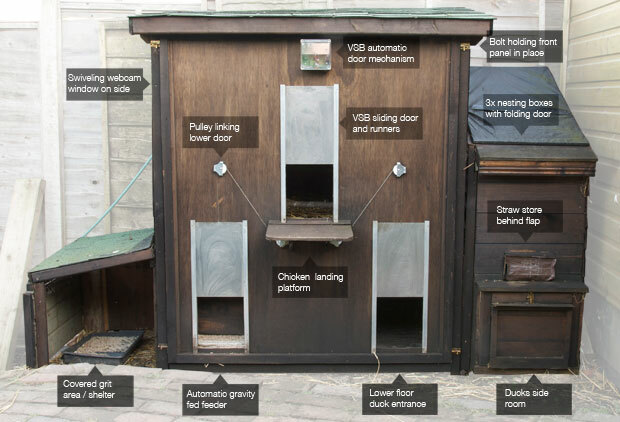 http://www.flytesofancy.co.uk/chickenhouses/VSB-Automatic-Door-Opener.html. They are incredibly easy to install and the batteries last for years so definitely worth the effort! Nice work! As a single working parent I thought long and hard about realising my life long dream of keeping chickens,but it’s worked out well -with the aid of vsb and my coop/large chicken run in a nettle infested patch of my garden. As I hoped, the chickens have totalled the hitherto untamable nettles and also have a spaciousrun for when I am not able to free range them. I’m fascinated by your duck set up; I thought ducks didn’t put themselves to bed - but they do? Thanks for the comment. It depends on the ducks I think - we have had some that do and some that don’t put themselves to bed. Our most reliable duck to go in at dusk was raised with chickens and just did what they did but in the end this didn’t turn out too well as he became a bit to friendly with some of the chickens. Thank you for all this information. We need to do the same thing! 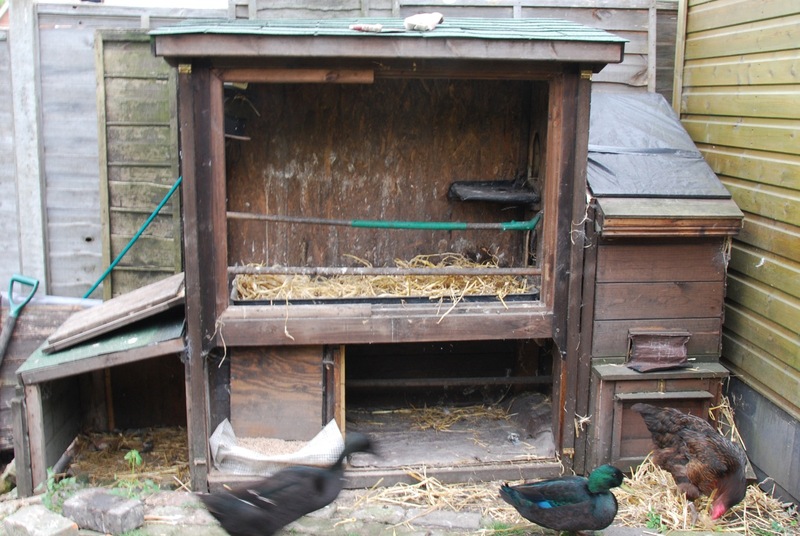 Hoping my husband can get some idea from you on how to set up an automatic door for our ducks. Thanks again. Hi I wondered if you had someway of dealing with the eggs whilst you were holiday rather than needing someone to collect them? I have everything else automated but have yet to find a way of stopping an overloaded collection of nest boxes…esp with 14 hens. Hi Lucia, Thanks for your comment. We only have a few in there at the moment and luckily our neighbours like eggs. You need to develop some sort of Wallace and Grommit style system to remove the eggs and preferably turn them into cakes ready for your return! Wow, best automatic chicken coop and very creative. You only use leftovers to build this chicken house. I am so impressed specially about the design. Great work, Mike. I really like the idea to automate chickens. I think this will provide the best solution to keep them safe in a well mannered. Nice work guys. Nice. 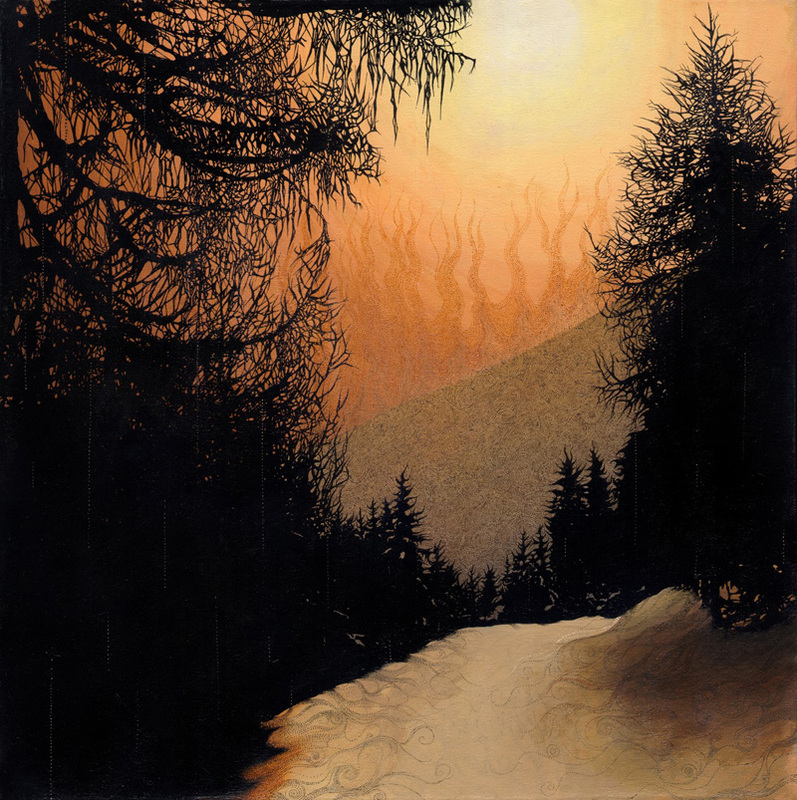 I am on the same path. I bought a £20 heron jet sprayer and converted it to spray whenever the ducks walked through the PIR field. This has served to not only give Sid, Mary and Alice a refreshing shower whenever they want but is fills their water bowl at the same time. I will be getting an auto duck door so as I can have the occasional lay in. Mine light to stay up late too! Incredible. Been thinking about how to do this for ages. Don’t have any ducks yet but I want some now so may have to dig a pond as well! I know you sourced mostly from scrap but what do you reckon total all in cost and man hours to build from new with the motors? Hi Rafe. Really hard to tell as it evolved over several weeks but probably a couple of days in all. The majority of the house really was scrap and so didn’t ‘cost me anything but the auto door opener was definitely the expensive bit as it cost about £100. It was definitely worth it in my opinion though, as it is very reliable and the batteries last for literally years!